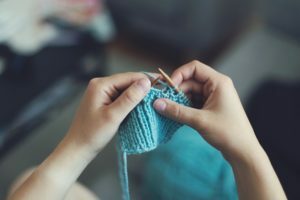 Join a community of knitters and crocheters at NAMI and make new friends while learning a new coping skill that will bring mindfulness and peace to your day. The group facilitator can teach you how to crochet a scarf or granny square afghan. Bring some yarn and a crochet hook. Feel free to bring any other yarn projects you're working on.